A courier for food delivery firm Deliveroo has lost his case to be treated as a member of staff rather than as self-employed. Judges in Amsterdam said on Monday morning that student Sytse Ferwerda should be considered to be self-employed because the agreement Ferwerda signed with Deliveroo is a freelance contract. In addition, the way in which the work is organised is not in line with being an employee, the court said. However, the court said, Dutch employment is not geared up to include working relationships emerging in the platform economy. ‘When contracts such as those used by platforms like Deliveroo are considered to be undesirable, then parliament should take steps,’ the court said in its ruling. Unions, delivery staff and some politicians say food delivery firms like Deliveroo are getting round labour laws by treating courier as self-employed. Ferwerda, who crowdfunded his legal costs and was supported by the Dutch labour party, said he will now decide whether or not to appeal against the decision. Deliveroo said in a statement that the company it is in talks with politicians about how the law can be adapted to deal with the platform economy. A second law case against Deliveroo in the Netherlands is also pending. The FNV trade union federation said in June it would take the British company to court for paying its delivery staff as if they are self-employed. 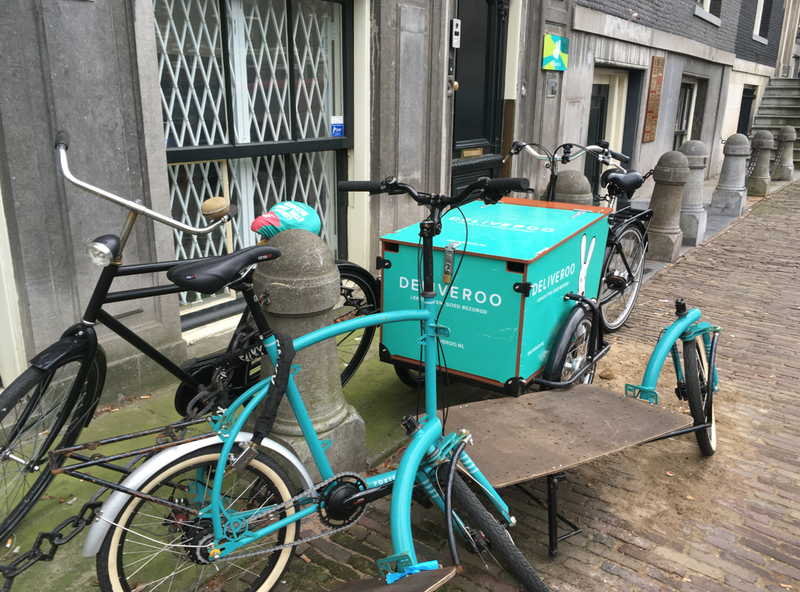 Since February, Deliveroo’s 1,750 delivery workers in the Netherlands have become freelancers which, the company says, means they will be able to keep more of their earnings. According to Business Insider, Deliveroo in the UK is calling for a ‘charter’ that would give it more clarity about the rights it could offer contractors without risking their employment status. Last month a group of 50 riders in the UK won a settlement from Deliveroo after they claimed they were unlawfully denied minimum wage and paid holiday.